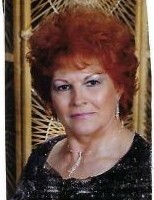 Janice L. Rice, Longfellow, born June 27, 1939, passed away on January 19, 2019 of natural causes. She was born to Fred and Bertha (Barrow) Rice in Ogden, Utah; attended Weber High School. She was married to Max R Longfellow (deceased), they had four sons: Keven and Denise (Peterson), Douglas and Mary (Cook) (deceased), Reece (deceased) and Shelly (Tuttle). Janice has one surviving brother, Kurt Rice, living in Arizona. She was preceded in death by her sons Brian and Reece, her father, mother, brother Jerry, and sister Connie. She was married to Kenneth Morgan for 18 years, later divorced, residing in areas of California and Reno Nevada. They spent time operating their title business and traveling and camping. Janice enjoyed the outdoors and being with family and friends. In the last several years of her life she became an accomplished oil painter, leaving behind many paintings for many to enjoy and remember. She was a loving mother, sister, grandmother and great- grandmother. She had 4 sons, 6 grandchildren and 12 great-grandchildren. She will be missed by all that had a chance to know and love her. We thank God for the time that he allowed her to be a part of our and many others lives. Rest in peace Mom, we will miss you, but we will see you again. Love, your family and friends. There will be a ” Celebration of Life” viewing for family and friends at Aaron’s Mortuary, 496 24th Street, Ogden, Utah on Friday, January 25, 2019 from 6 to 8 pm. Condolences may be sent to the family at www.aaronsmortuary.com.